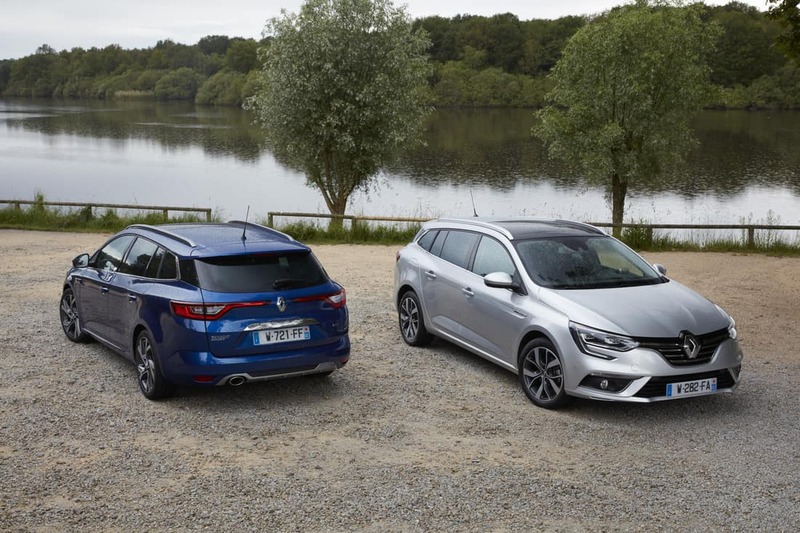 Renault has completed the renewal of its revised family car range with the arrival of the All-New Mégane Sport Tourer. The new Renault Mégane Sport Tourer can be recognised from afar – as is the case with the entire new Mégane range. The LED Pure Vision and Edge Light technologies of its 3D-effect lights leave their distinctive mark as you drive by, day and night. 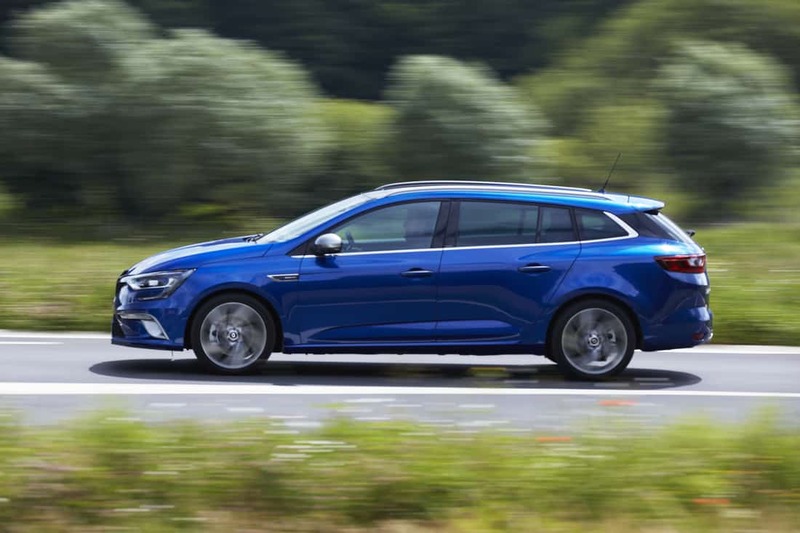 The lowest and widest estate in its category, the new Renault Mégane Sport Tourer has a sleek, dynamic look. The profile is enhanced by a chrome strip, which delicately underlines its beltline. Combining style and function, it has integral roof bars made from anodised aluminium for a truly purposeful look. My test car was a delightful new Renault Mégane Sport Tourer ‘Dynamique S Nav’ fitted with Renault’s super-smooth 1.5-litre turbo diesel engine and mated to a sweet-shifting 6-speed dual-clutch automatic gearbox for maximum driving enjoyment. 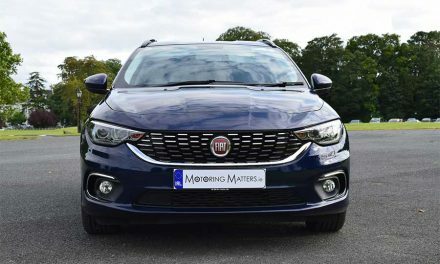 This 1.5-litre engine provides 110bhp, 250Nm of torque and is capable of a 0-100km/h sprint time of just 12.7-seconds, while achieving a top speed (where permitted) of 186km/h. 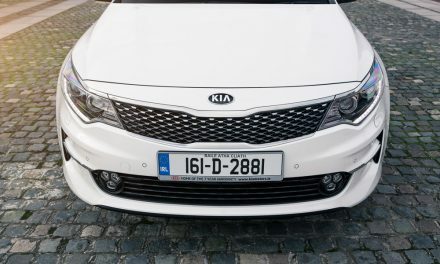 Thanks to a low Co2 emission figure of just 95g/km, annual road tax is just €180 (for both manual and automatic gearboxes), while a combined fuel consumption figure of just 3.7-litres/100km (or 76.4mpg) is achievable. Wind and engine noise are both well controlled and while you do notice a bit of road noise, it’s only because that’s all you can hear on the move. The Mégane Sport Tourer’s dashboard is dominated by its touchscreen which, in my test car, is an 8.7” tablet-style affair that handles all the car’s major functions. I found this ‘R-Link 2’ system to be intuitive, quick and responsive with the main functions immediately accessible. The Mégane Sport Tourer offers plenty of head and elbow-room for front and rear seat occupants alike. There’s also lots of stowage for bits and bobs in the large central cubby and generously proportioned door pockets. The seats are even more impressive – soft enough to be welcoming, yet with enough support all over to prevent backache on a long journey. Boot space ranges from 521-litres with the rear seats in place to 1504-litres with the rear seats folded flat. The new Mégane scored well in the benchmark Euro-NCAP crash tests, with a five-star rating under the very latest test regime. That should make it a sturdy, safe place to be in a crash. 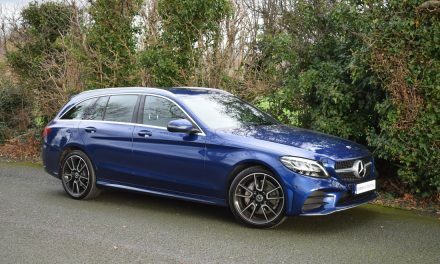 As you’d expect from a car with such a score, it comes with all the airbags you could wish for, as well as systems to prevent skids in a straight line (and in corners) as standard on every model. Priced from as little as €20,440 the new Renault Mégane Sport Tourer offers excellent value for money. 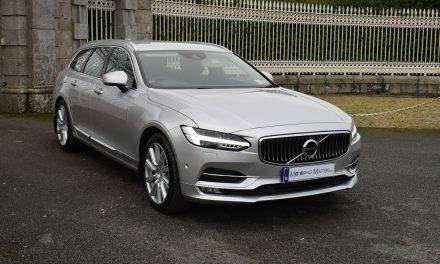 My test car attracts a price tag of just €27,990 and comes with a massive standard specification list. A standard 5-year (200,000km) warranty and roadside assistance package is the real icing on a very handsome and dynamic cake.